I have been hearing all sorts of misunderstandings about sitemaps. Again and again, every week. That’s why I decided to create one complex article with a printable cheat sheet. It will cover all of the best practices from the sitemap world and disprove all of the misinterpretations about it. I gathered all of the know-how and experience that I had accumulated by creating sitemaps for my work through the years. And voila. Here is the article that will help you to become the sitemap expert, whether you are a beginner or are already a professional. What is a sitemap for, are sitemaps important for SEO? 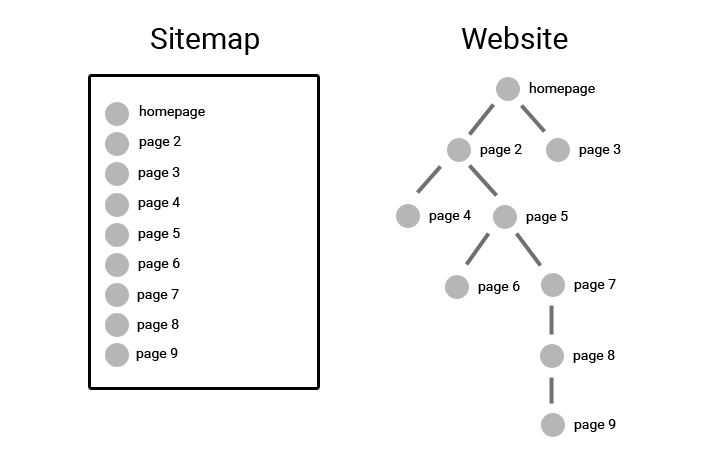 How many types of sitemaps are there in SEO? How to find my sitemap URL? How to use XML sitemap? How many sitemaps should I have? How to create a sitemap for Google? How to add a sitemap to Google? 1. How sitemaps can help you with SEO? First, you should understand what a sitemap is, along with its main purpose. What is the main purpose of sitemaps? A Sitemap is a list of web pages created for web crawlers so they can find your web content fast and easy. The search engine can use a sitemap to see the newest pages on a website, or all the web pages together, including all images, video content, etc. A search engine will find page 9 in a sitemap immediately, within one visit of the file. On the website illustrated above, it will have to jump through 6 web pages to find page 9. Faster indexation: Search engine will find out about new pages much faster, therefore, the indexation process and displaying the website in search results will be faster as well. Sitemaps can help you with the deindexation too. Better indexation of deep pages: Search engines can find out the pages that were not discovered while crawling the website. But it doesn’t necessarily mean that all of them will be indexed. Monitoring of indexed pages: In combination with Google Search Console, it is possible to find out which URLs are covered in the sitemap that Google indexes. Sitemaps don’t help you with better search rankings. A sitemap is not a ranking factor. Listing URLs into a sitemap has zero influence on the higher search rankings. URLs with a deep link level or lack of internal links get no or little link juice. With no link juice, search bots can still consider these pages as low-quality, even if they are listed in sitemaps. Most likely, the search engines will refuse to display them in SERPs anyway. Did you read the article up until this part? Great job. You know the main principles and the SEO benefits of sitemaps by now. Now, it will be much easier to go a little deeper. 2. 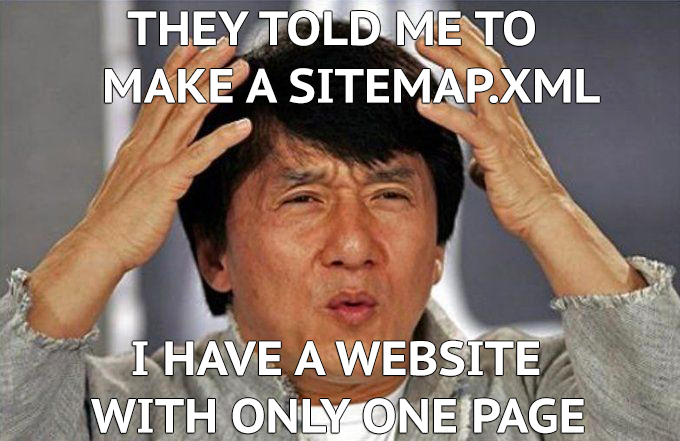 Do you need a sitemap? A sitemap isn’t necessary for every website. And if you need one, it doesn’t exactly have to be a sitemap.xml. You can implement several types of sitemaps, like an RSS feed or special extensions for a sitemap.xml. A website with 100 pages isn’t large. Even a website with 1,000 pages is still pretty small, and a sitemap isn’t really necessary. 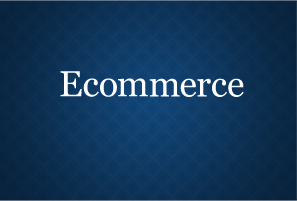 For bigger sites, however, you should definitely consider it. Do you have one million pages? Then you need a sitemap. A sitemap helps crawlers to find a brand new website just after launch and to index the new pages much faster. A sitemap helps to accelerate the indexation of newly added pages after adding them to the sitemap, especially, when your site is in Google News. 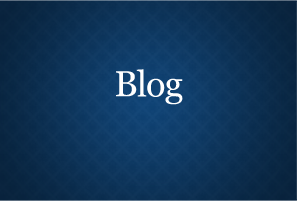 If a blog is part of your website, you should use an RSS feed for it. 3. What types of sitemaps are most suitable for your website? A sitemap can be written as a simple text file. We don’t deal more with it because it contains only a list of URLs. Other sitemap forms allow better URL annotation. •XML sitemap with an alternate language sitemap or mobile sitemap extension - in case you don’t use another hreflang or mobile version annotation instead. This is a general recommendation about sitemap best practices for SEO. As that every website is unique. Once you choose the type of sitemap, think about its purposes. Sitemap generator tools like XML-sitemaps.com are very popular. You enter the URL of your website, and then the generator starts to crawl it and creates the sitemap. After that, you upload the generated sitemap file to the web server. It is easy to use, but it’s also mostly useless and counterproductive. If you create new web pages, the sitemap remains the same. It will not reflect the changes. Why are XML sitemap generators useless? As I said in the beginning of this guide, one of the main benefits of a sitemap is that the search engine will find out about the new pages much faster. The generator only gives you a snapshot of a website when the sitemap is generated, which is tough. It will be outdated very quickly. As I wrote in the section “Which URLs should be put in a sitemap”, it’s important to exclude not important URLs. Most sitemap generators put in all of the website URLs. Sure, you can delete all of the unnecessary URLs, but you can easily make a mistake in the messy data. You can add to sitemap URLs, which aren’t linked from the website. Sitemap generator can’t. But don’t forget, it doesn’t necessarily mean that all of the not-linked URLs will be indexed. So, please avoid using sitemap generators while you don’t have a very good reason to use them. What’s a very good reason? For example, when your website is new, and you need to index it fast. In this case, you probably don’t have the time or the resources to create a dynamic sitemap, which would be updated regularly. In most cases, you need a dynamic sitemap with regular updates. Let’s see how to implement it. Now I am going to be a little bit techy. All of the sitemaps described above are in XML format. There are two basic formats: XML sitemap and RSS. With these formats, you will cover everything. Each Bing & Google sitemap. So, you don’t need to use or know more about other formats, such as an Atom feed. For adding more URLs, you just put more <url> tags in there. Only one tag is required in a <url> tag and that is its location. Thanks to using <loc> tag, Google will know about all of the important URLs. You can add two more tags into a sitemap, <changefreq> and <priority>. Google ignores them (Seroundtable.com, May 2015). John Mueller from Google confirmed it again in August 2017 (for sitemap priority tag). Changefreq is ignored by the most search engines. Except for Bing, the priority tag still can be used. When you will be creating a sitemap, you have to fulfill some limits and follow these rules: Use correct encoding, character escaping and URL format. Use absolute URLs If you have the sitemap placed in http://www.example.com/sitemap.xml, you can’t specify a relative URL like /page1.html. You have to use http://www.example.com/page1.html instead. 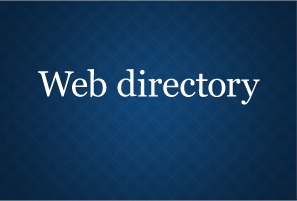 The selection of ideal URLs into a sitemap is a very important task. It’s not a good practice to list every URL of a website in a sitemap. Include web pages you want to rank in Google and want to show to the users — important and quality ones. <image:image> and <image:loc> tags are required. The title of the image. You can use the same text like in the alt attribute of the <img> tag. A URL to the license of the image, for example, https://creativecommons.org/licenses/by-sa/2.0/. Choose the right license type or get the link to your license at https://creativecommons.org/choose/. 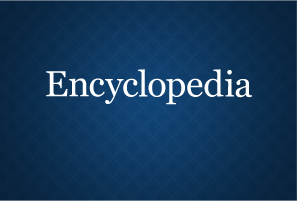 You can add up to 1,000 images for each web page. Images don’t have to be in the same domain as your website. You can use a CDN (content delivery network). Make sure that your CDN is verified in the Search Console. A URL pointing to the video thumbnail image file. Images must be at least 160×90 pixels, and at most 1920×1080 pixels. The title of the video. You can use the same text like in the alt attribute of <video> tag. Video description must match the description displayed on the web page. content_loc points to an URL with actual video media file; flash is allowed, but may be indexed less well; player_loc points to a URL with a video player. Usually this is the information in the src element of an <embed> tag. Don’t forget to add the XML namespace for video and use <video:video> tag for each URL. As another example, check a video sitemap of The Guardian. If your site is written in more languages, you should link them by using “hreflang” attribute so that the search engine gets to know about them easily, understanding which site to show in the search results of specific regions. It’s the same for sitemaps. 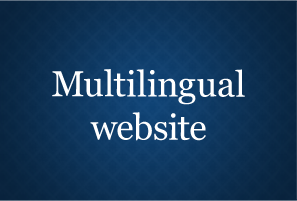 By inserting the alternate element to a sitemap, you support the indexation of different language versions. As a good example of sitemaps with alternate languages extension, this is a sitemap index of Nike with a list of sitemaps for each language version. You must create a separate URL element for each URL. Each URL element must include a <loc> tag indicating the page URLs, and a <xhtml:link> subelement for every alternate version of the page, including itself. The <xhtml:link> tag includes attributes to serve the correct language or regional URL: rel=”alternate” hreflang=”en-us” href=”http://www.example.com/”. Don’t forget to add the XML namespace for XHTML. A mobile sitemap is useful only for the mobile version sites. If your site uses responsive design to serve mobile users, there is no need to create a mobile sitemap, because the URL is still the same. When you annotate a mobile version in HTML, mobile sitemap extension is not necessary. When building the mobile sitemap, add the XML namespace for mobile, and use <xhtml:link> tag, including attributes to serve the mobile version of the URL: rel=”alternate” media=”only screen and (max-width: 640px)” href=”http://www.m.example.com/”. If you have a news site, build a Google News Sitemap. It lets you control which content you submit to Google News. For example, The Guardian has a very well-written news sitemap. Before you start to use a news sitemap, register your site in Google News, so that Google will be alerted to it. After the registration, add all of the news articles created in the last two days to it, with a limit of 1,000 URLs. 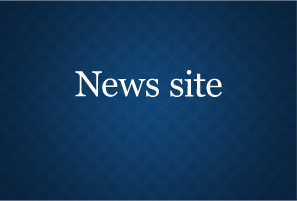 An update of the sitemap should be done each time a news article is published. First, include the name of the news publication, and then the language of your publication. Use an ISO 639 Language Code. </news:genres> tag, if the article contains only opinions or comments. When coding the news sitemap, add the XML namespace for news and use <news:news> tag for each URL. For better displaying your article in Google News, try to add <image:image> tag, along with the location of a representative image. Usually, Google picks the image from the article, but without defining the image in a sitemap, your article can be displayed in Google without it. A big plus is that readers of RSS feed can add Google News sections to their RSS aggregators. Your articles will be shown in Google News and so will in RSS feed. An RSS feed is a small file containing the most ten recent fresh updates to your website. Even if these tags are not important for SEO and site indexation, they are important to your readers. The more information you provide, the more information RSS feed readers will get about your posts in their RSS aggregators. Text description of an article. Category division — RSS aggregators will group sites based on category. If two or more categories are applicable, use the <category> tag separately for each category. If you run a blog on WordPress, an RSS feed is generated automatically and updated at the URL www.example.com/feed/. 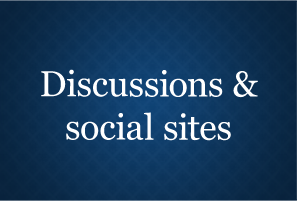 The final step is submitting your feed to an aggregator that will match the interest. 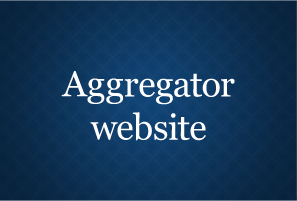 There are many popular aggregators where you should try to submit your website. mRSS feed is the same as an RSS sitemap, but with only one difference — it’s made for video content. A nice example is Vimeo mRSS feed. When you will create well-structured sitemaps, it greatly helps you with monitoring of indexation. It’s much easier to examine indexation issues for separate sitemaps than just for one large file. You can connect more sitemaps together with a sitemap index. In the example of the CNN website’s sitemap index, they build three sitemaps differing by content every month and then update them in the sitemap index file. Only <loc> tag is required. But I recommend add <lastmod> too. You can find how to format date & time above. 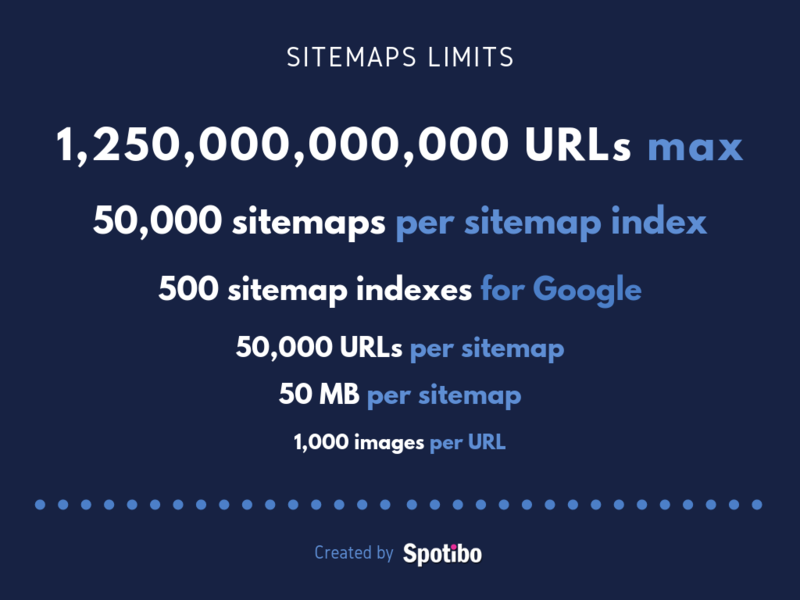 To a sitemap index, you can add up to 50,000 sitemaps. And to Search Console, you can add 500 sitemap indices. Generated sitemaps can be much too complex, and it is easy to make a mistake. After you generate a sitemap, I would recommend validating it with Yandex Sitemap Validator and after that with Google Search Console. Yandex’s validator is very easy to use. You can input text, a URL with a sitemap or simply upload a file. Checks basic XML sitemaps, RSS feeds and Sitemap Indexes. Unfortunately, it doesn’t help you with sitemap extensions like Image sitemaps. Yandex Sitemap Checker serves the results immediately. It is a great tool for initial sitemap testing or for checking the sitemaps of domains which you don’t own. The search console checks almost everything, including all sitemap extensions, URL status codes and much more. It is the best solution for your sitemap testing. It takes the Search Console some time to proceed them, though — from hours to a few days. And you can’t test a text input or sitemaps on external domains. Put the sitemap location at robots.txt. Write the sitemap location in the source code. Submit the sitemap via the search engine’s webmaster tools. Register yourself as a publisher to use Google News Sitemap. The safest way to get to know about your sitemap is to update the XML sitemap in the robots.txt file. Every search engine will find it in there. You can define more than one sitemap, and its URL must be absolute. The biggest issue here is that you make your sitemaps public so that anyone can easily find them. However, you should think about that, because in the worst scenario, it can be abused by your competition. RSS feed is a little bit different and has to be added to the source code. The search engines can also learn about your sitemap from the simple <a> tag linking to the sitemap destination, but this method is not reliable, and there’s no guarantee that every engine will find it. Not all search engines have their own webmaster tools. If an XML sitemap does not need to be confidential, it should also be listed in robots.txt. Click on “Add/Test Sitemap” and paste your XML Sitemap file here and click “Test” button before hitting the “Submit” button. Now repeat the process and copy all of the sitemaps you have one-by-one in the webmaster tools. If the sitemaps are listed in a sitemap index, you need to submit the index only. You can submit up to 500 sitemaps index files in Search Console. Now click on Dashboard- > Configure my site -> Sitemap. Copy and paste the XML sitemap in the Bing sitemap box, and then hit the “Submit” button. With Bing Webmaster Tools, you can only see the number of submitted pages, but not those that are indexed. Therefore, analysing data is not as easy as in Search Console. The same is true for Yandex. Click on Dashboard -> Indexing -> Sitemaps file. Copy and paste the XML sitemap in the Yandex sitemap box and hit the “Add” button. Before your request, read this step-by-step guide from Shane Barker and the official Google guidelines. Location of a sitemap in robots.txt or the source code is public. Anyone can find it. If you have a well-structured and complex sitemap, competitors can easily get abusable data, like the list of categories, tags or all your products. On the other hand, even if you don’t have visible sitemap and competitors want that data, they will get it. But they’ll have to try harder. To obtain and clean the data, they have to use a web crawler. But this way is much harder than to simply parse sitemap files. Just be careful. If you get 99% of your traffic from Google, Bing and other search engines which have their own webmaster tools, consider the privacy of your sitemaps. It is not necessary to link to your sitemap in the robots.txt file. When adding a new site to a sitemap, you can alert the search engines through so-called “pinging.” They will know about the changes immediately, and they can then index the new content. Although not every search engine supports it, it is ideal if you can automate “pinging”. Whenever you update a sitemap on the server, send a notification to Google or Bing as well. You should follow sitemap guidelines, limitations and avoid the static sitemap generators. Then you will benefit from all of the advantages of sitemaps. Read more about the purposes of sitemaps above. There are 2 important kinds of sitemaps: XML and RSS sitemap. XML sitemap has 5 extensions for images, videos, mobile, alternate language, and news. RSS sitemap can be extended with mRSS. Check the sitemap location at www.yourdomain.com/robots.txt. Check the sitemap location in the source code. Check the sitemap via the search engine’s webmaster tools like Google Search Console. More details on how to find your sitemap, you will find above. Faster indexation: Search engine will find out about new pages faster, therefore, the indexation process and displaying the website in search results will be faster as well. A sitemap isn’t necessary for every website. But when you need it, each should contain less than 50,000 URLs, or the file size should not exceed 50MB. So if your site has 100,000 URLs, you will need 2 sitemap files at least. For bigger sites is a good practice to divide XML sitemaps by webpage types like products, categories, articles, etc. Google support all common sitemap types. You can generate XML or RSS file types. Examples and templates of sitemaps for Google are described above. Jump to XML sitemap guidelines and more templates. Jump to image sitemap guidelines and more templates. Jump to video sitemap guidelines and more templates. Jump to alternate language sitemap guidelines and more templates. Jump to RSS guidelines and more templates. Very good article! Thanks for sharing this with the world! Honestly this is a 4 years university course. I dont want to read all, it is a full blown course. I can just hire someone to create and submit my sitemap. If you have recommendation let me. Nice informative article, I recommend the users to definitely do sitemap for their site since it tells the search engine what kind of content you are hosting and reach relevant users, It will also help your site get indexed faster. Great post! What is your thought on submitting Categories, Tags and Author sitemaps? thanks :). Submitting separate sitemaps for different site categories, products, tags or authors is definitely a great idea. The advantage of this is that in combination with Google Search Console, you can monitor indexed pages much better. In there, it’s possible to find out which URLs, covered in the sitemap, are not being indexed by Google. If you see a big indexation gap in let’s say – sitemap with tags, you can focus on affected pages with tags instead of checking the whole website and detect any potential indexing problem faster. Nice best practices cheat sheet! Any extended tips for a social media website (for xml sitemap)? Thanks, you are welcome :). This is really useful. I have one worry, and that is that a HTML sitemap will be viewed by Google as a page with too many links. Fantastic article with great information and intuitive structure. Thank you very much! Thanks, Julie, you are welcome :). too long to read lol. i was searching how can add Tags (texonomy) in my sitemap. Why is the subdomain for channel different that the link in the item for your RSS example? thanks for the comment. The example was inaccurate a bit. I edited it :). Great article and very detail so i think this article must be share to all publisher, Thanks somuch for shering god luck..
or to open 2 different properties of GSC with the relative sitemap? it’s a good idea to create 2 separate properties for each language. And one main property for the whole domain. I would recommend you to create a sitemap with using hreflang. It is not necessary to create two sitemaps or two different properties. Please check out part 4.4 in our article. According to that guide, you can insert any kind of language version in the main sitemap. Don’t forget to use correct hreflang code for a particular language. Could you enhance your article to show at least 2 occurrences of everything in each example? The hierarchies are not 100% clear (i.e. which links are stand alone and which appear underneath the standard URL (as a sub-component) and whether there are groupings by type (URL, video, image) or not). Thank you for a nicely laid out article. Hi. Thanks for the article, but I was wondering how to create a dynamic sitemap, are there any tools or it has to be done manually (which seems to be kind of impossible on big sites 😀 )? Very impressive piece of work on site maps. I believe for some websites sitemaps are obsolete these days. The major search engines aren’t giving websites with site maps any kind of boast, and specifically for your Mom & Pop business websites it’s not all that important. My full opinion is here: https://saskseo.ca/diy-seo-tip-3-site-maps-are-obsolete-in-2019/ however I think there are some exceptions. thanks a lot for your opinion. I agree with you :). Thanks for getting back Jan – you knocked this post out of the park. I’ll be sure to refer others to it. I am working on website (orange fashion village) which have contain 4 sitemap mentioned below. Is it ok? Great ressource, really! Well detailed with great sitempa examples!